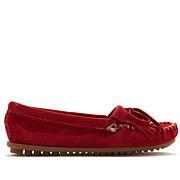 My husband was asking me for moccasins for awhile now..I got these for him for Christmas. 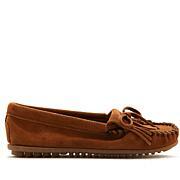 I have always been a huge fan of Minnetonka and decided to go with these. 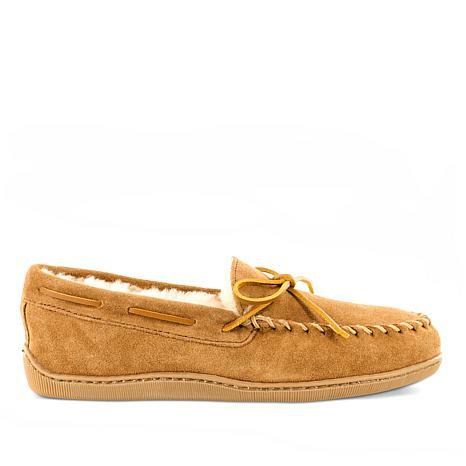 He is absolutely in love with them..super comfy and he loves the indoor/outdoor sole as well. They really keep your feet toasty too. I'm a hit with my sons. I bought these slippers for my oldest son who loved them. He thought they fit perfect and were so warm and comfortable. My youngest son tried them and wanted a pair so I just got his slippers the other day and he was a happy camper indeed. I got two of the best kisses from my boys (their adults). My youngest son wears a size 13 which is hard to find in a good slipper but these came in that size and he felt they fit perfect and his feet where warm. The slippers are quality made. Good material, the soles where solid, soft inside and firm on the outside. The stitching was great. It looks like it will hold for years to come. Great purchase. These must have been knock offs. The sheepskin was not thick and there was a tag that is not like the originals. Returned and ordered directly of the manufacturer.